The recent WordPress Photo Challenge is about tiny things. 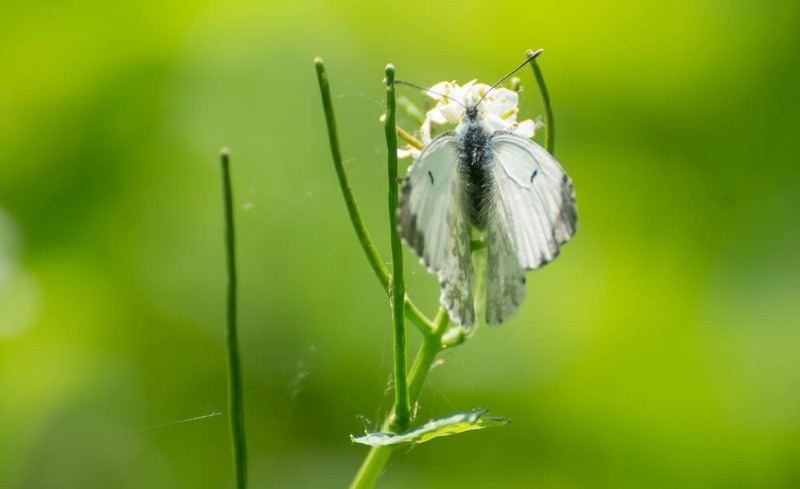 I thought that I use the challenge to show you a butterfly photo that I shot a while ago. I would really like to try this with a real macro lens, but for now I usually had to use my Nikon 18-105mm lens or my Tamron 70-300mm. In this case I shot the photo at 300mm with my tele zoom lens. I’d call that pseudo macro photography. Fun fact, I could basically afford a true 90mm or 100mm macro lens next month, I am just not sure if I should do that, considering that I shot so many bird photos over the year. That means, I am not sure if I should use my savings to purchase a macro lens, because if I would save the double amount, I could basically afford the Sigma 150-600mm contemporary tele lens, and I think that one would help me with bird photography. But how do people say? You can’t get everything at once and you have to make decisions instead. I don’t know it yet, I am not ready to make that decision now.